From a quick rinse off after a swim, to the centre piece of your own special outdoor sanctuary, we have the design to suit your requirements, as well as adding a unique touch to your unique space. 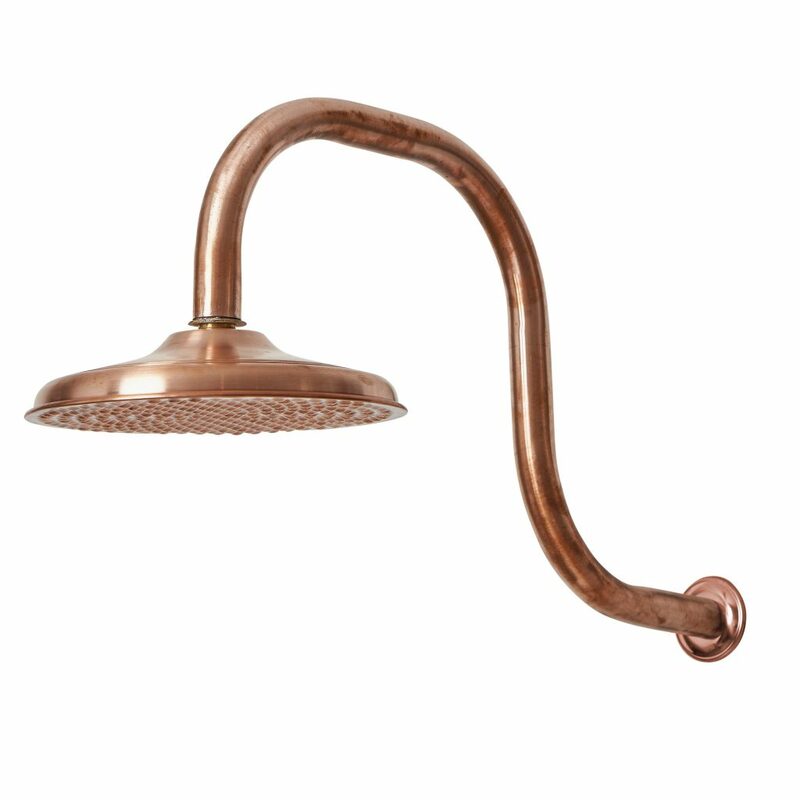 An elegant gooseneck in 25mm copper. Can be handy when you want to re use a wall connection that is View product. 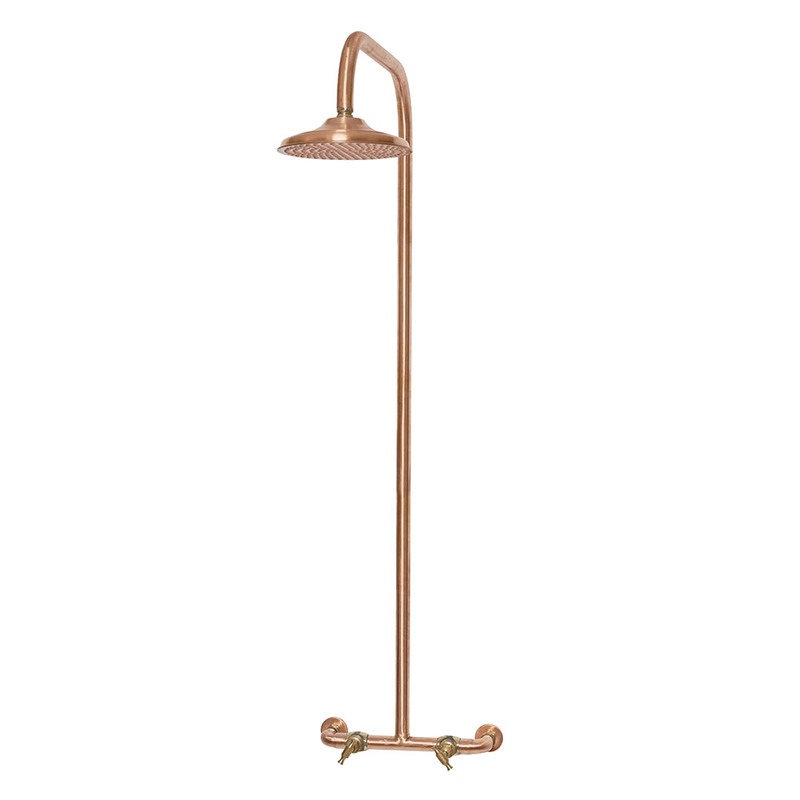 A beautiful copper wall mounted unit with the addition of a footwasher. Sold with either the Bundeena shower (250mm Daintree View product. A clean, simple and elegant design. 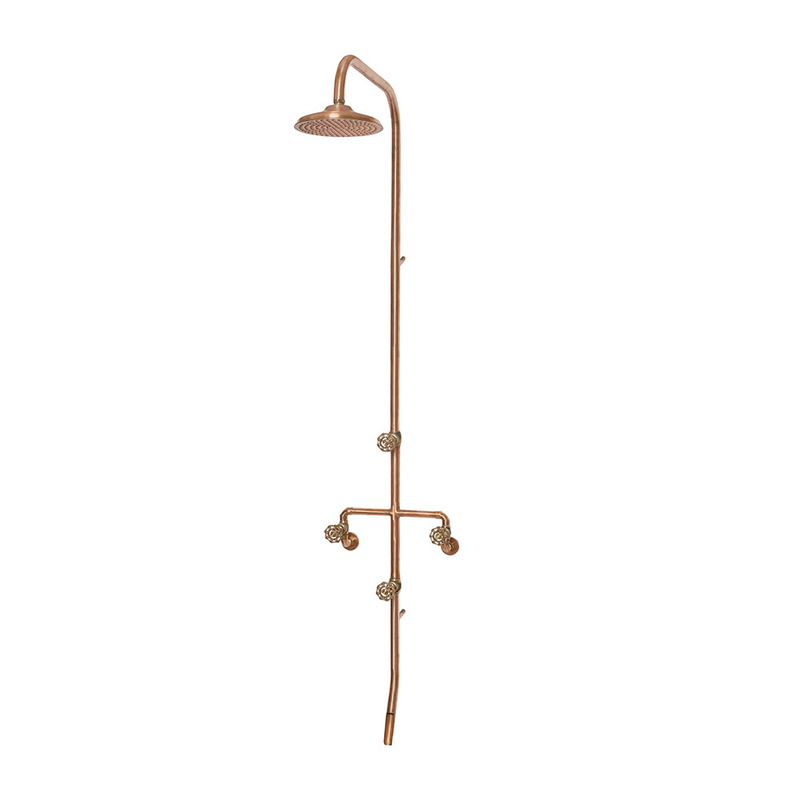 The Island is sold with either the Bundeena shower set (250mm Daintree Rose, Code BCCBS), View product. 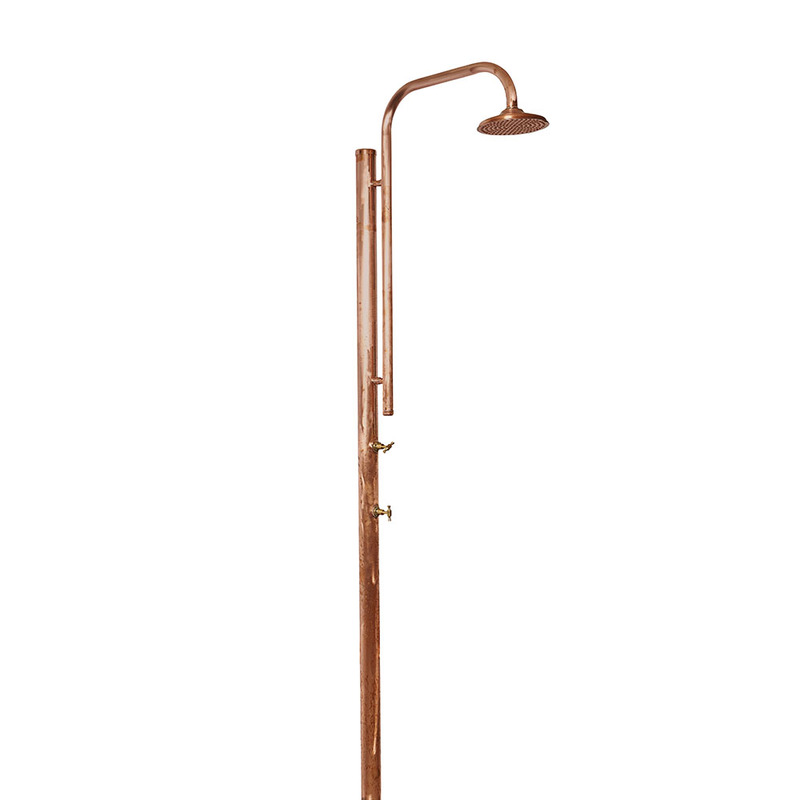 The Tama is our biggest selling freestanding shower and is sold with either the Bundeena shower (250mm Daintree Rose, Code BCCBS), View product. Organic living copper won’t rust or corrode, but allows the elements to transform it and make it stronger. That’s why we love it. Each shower responds differently to its environment and this means your shower will be unique. If you have some special requirements, bear in mind we can often customise our designs for extra height and reach at little or no extra cost. We are also happy to collaborate with you on bringing your own individual design to fruition.